File photo: Donald Trump and Mahmoud Abbas in the Oval Office, May 3, 2017. 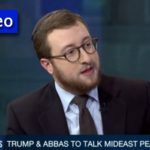 President Donald Trump spoke to Palestinian Authority President Mahmoud Abbas on the phone on Tuesday, multiple reports state. 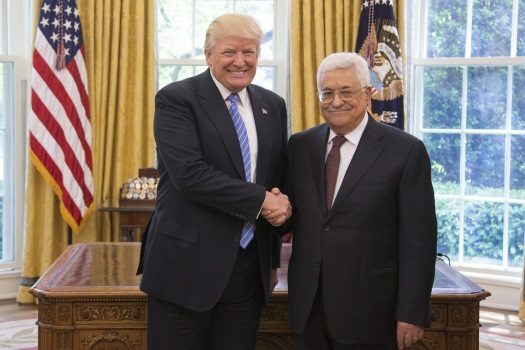 Trump reportedly informed Abbas about his ‘intention’ to move the American embassy from Tel Aviv to Jerusalem, according to a readout of the phone call published by the official PA news outlet Wafa. 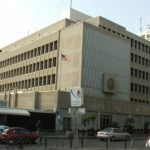 A spokesman for Abbas said Tuesday that Trump informed him in a telephone conversation that he intends to move the US embassy in Tel Aviv to Jerusalem, prompting the Palestinian leader to warn him of the “dangerous consequences” of such as step. Abbas told the US leader that the “firm” Palestinian position is “there is no Palestinian state without East Jerusalem as its capital,” the report said. Abbas warned Trump that moving the embassy to Jerusalem would be dangerous for the peace process as well as to peace and security across the region and the world. This is wonderful news! It’s about time someone made such a strong statement about our ties to the land. it is one step closer to bring mosiach. the land does not belong to the palestians!